Laura is our office manager and optician. She handles billing, manages office personnel, and helps out with a multitude of our practice's regular duties. 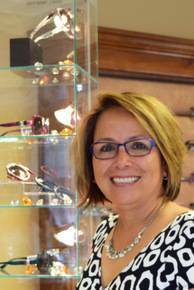 In addition, she greatly enjoys helping patients pick out the perfect style of glasses and will answer any questions patients may have regarding insurance coverage. She has a very bubbly personality and is always eager to help!